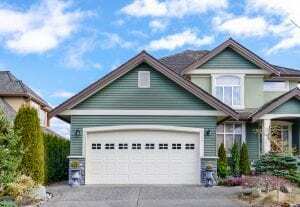 Many home improvement companies offer steel garage doors throughout the Franklin, Indiana, area, but 31-W Insulation stands out by offering world-class customer service. As a full-service home improvement company, we’ll assist you from the beginning. We’ll come to your home for a free consultation to provide you with everything you need to know about our garage doors and help you design one that will enhance your home’s exterior and curb appeal. Long-lasting performance – Designed to sustain high wind speeds, these steel-constructed doors resist damage from extreme weather and will help keep your garage safe during storms. The best in safety – We offer these doors to our customers, in part, because they come standard with safety features such as tamper resistant brackets that will prevent the door from malfunctioning while in operation. The flush mount hinges and SafeGuard pinch protection will also reduce the risk of hand injuries. A myriad of design options – Your garage door will be entirely custom made because you’ll be able to select from alluring colors and woodgrain finishes, a plethora of door styles, different window pane and grid options, and stylish decorative hardware. Contact us today to schedule your consultation at your Franklin, IN, area residence. One of our friendly associates will be happy to answer any questions you have about the steel garage doors that we offer.